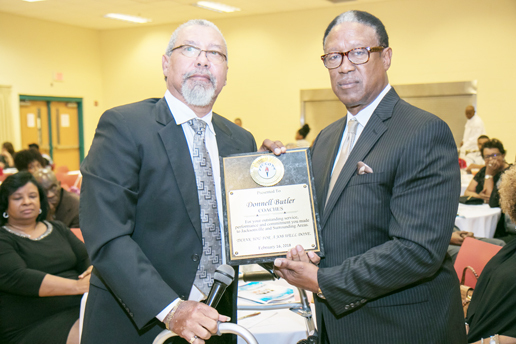 Shown is “Athlete Award” winner and former FAMU football player Jerome Elps, II, with emcee Ed Hall. 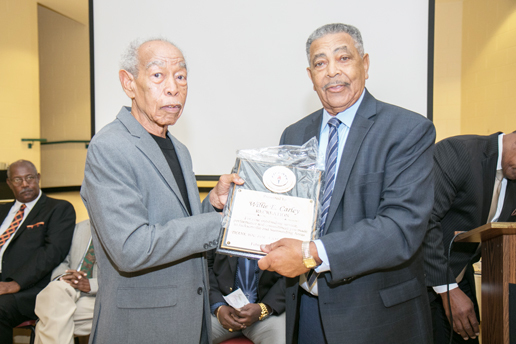 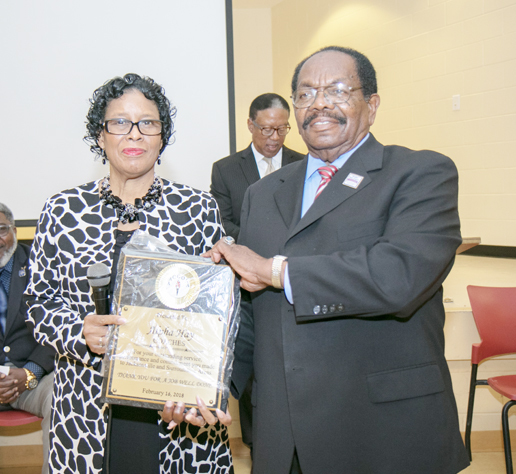 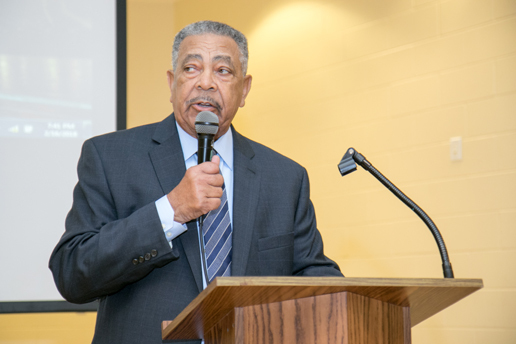 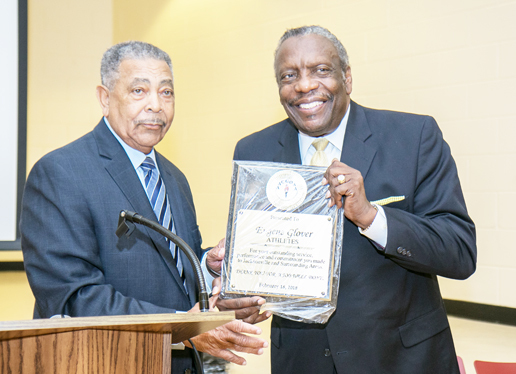 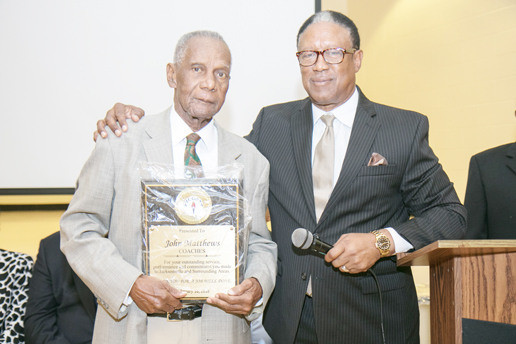 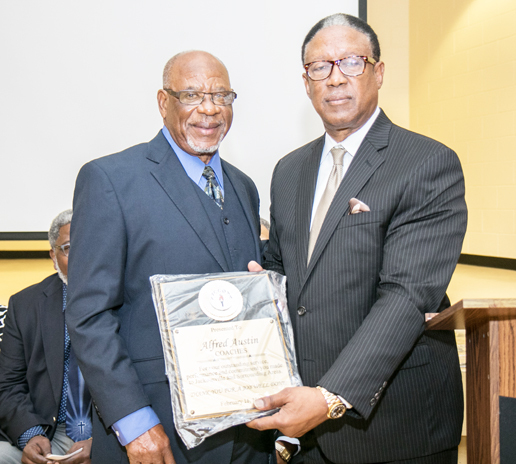 The African American Coaches and Games Officials Association (AACGOAA), established to ensure the perseverance of Black Athletes and cultural achievement of Blacks in Duval County, held their annual awards presentation to celebrate local icons. 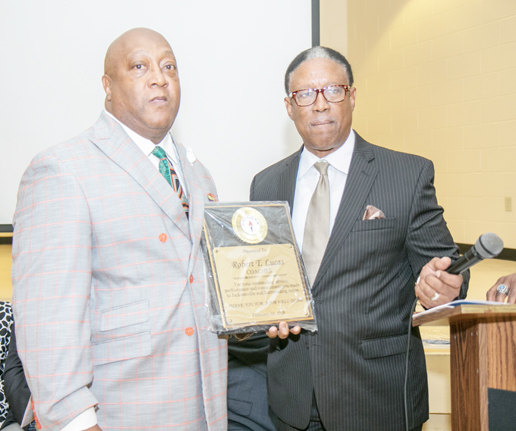 Shown is “Athlete Award” winner and former FAMU football player Jerome Elps, II, with emcee Ed Hall. 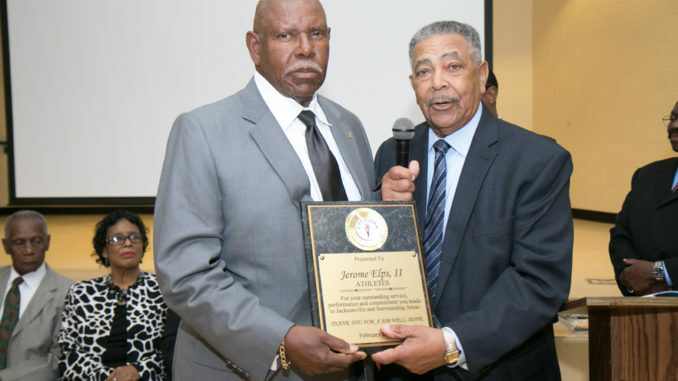 The idea for the organization was the brainchild of local coaches Earl Kitchings, Dr. Jimmie Johnson, Dr. Alvin White and others. 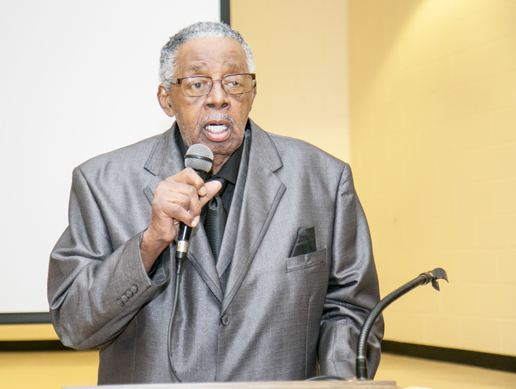 The coaches and game officials would meet informally on the second Friday of each month to eat breakfast and enjoy fellowship. 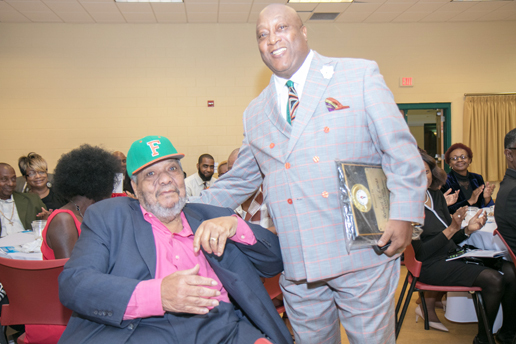 The discussion would often include topics such as the great coaches in the district and teams and players who have helped to make Jacksonville a recruitment hub for the NFL and NBA sports arenas. 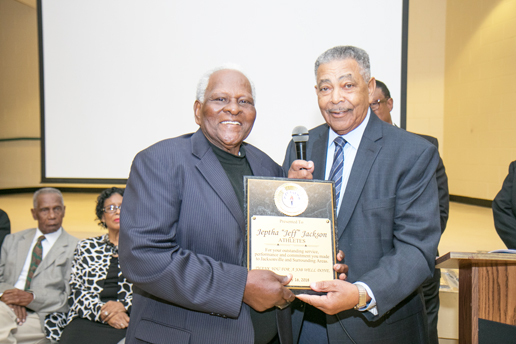 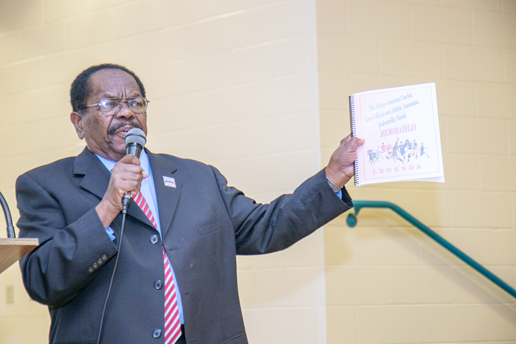 To celebrate the achievements and accolades of the AACGOAA, the 8th annual awards banquet was held to honor the many contributors that helped shape the Duval County school district and the students that were mentored by the officials. 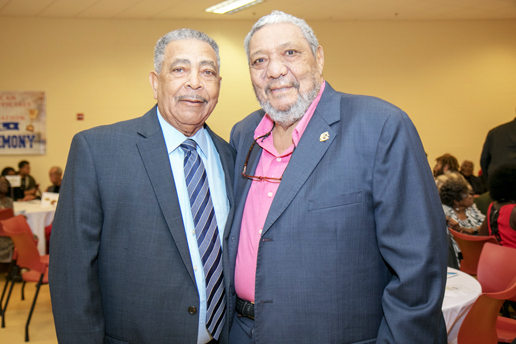 Over 200 family and friends attended the event at the Legends Center. 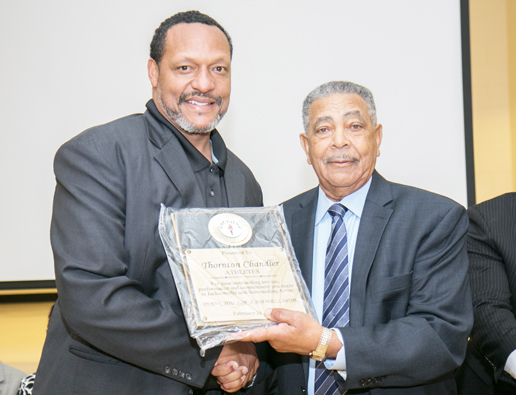 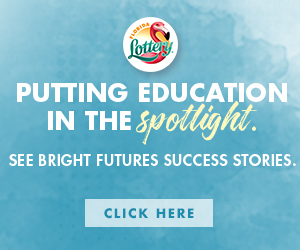 Guests enjoyed dinner and reminisced on their sports programs success throughout the years. 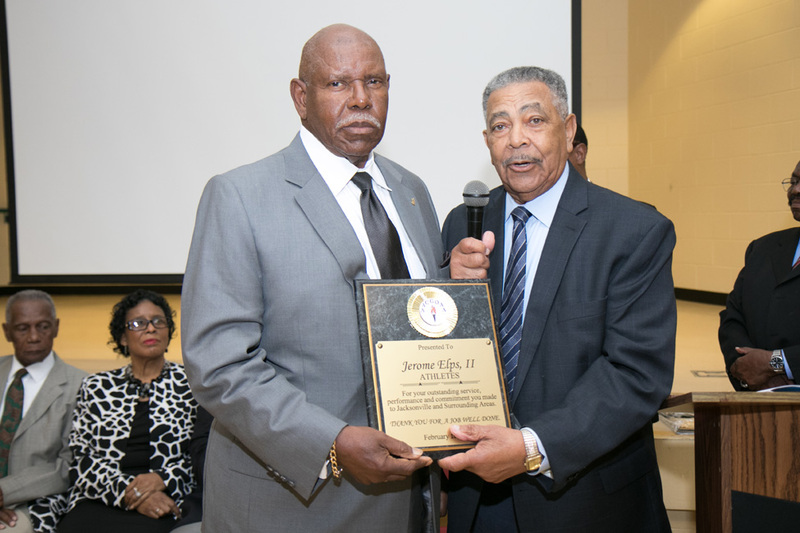 Other honorees included: (Athletes) Eugene Glover, Jeptha “Jeff” Jackson, Thornton Chandler; (Coaches) Alfred Austin, Evelyn Hopkins, Donnell Butler, John Matthew, Donnell Butler, Evelyn Hopkins, Alfred Austin, Robert L. Lucas and Alpha Hay; (Recreation) Willie E. Carley.